Early Retirement planning requires more than just Retirement Financial Planning. The prospect of retirement is attractive for many people. The end of the nine to five routine means more freedom, more independence and a chance to do those things they have been dreaming about. Are you really ready for retirement? Retiring early present’s challenges, financial and otherwise, but they can be overcome. The key to a successful retirement is preparation, and you can’t start too soon. (See Denis's story of early retirement). To a person in their twenties the goal could be financial security and freedom at fifty. To those who regard the traditional retirement age is 65, anytime from mid fifties on is early. I chose to retire at 60, and for me and many of my peers that was considered premature. The best time to prepare for early retirement, financially and otherwise, is when you are young. During my mid forties, I was fortunate to be working for a very successful company with excellent growth prospects. The job had the potential to fulfil many of my career ambitions, so I was able to regard it as a place where I might earn my pension. I had the foresight to negotiate an option to retire at 60, 65 being the normal age in that company. That done, I forgot about it for almost a decade. I loved my work, growing and learning ... life was good. My early fifties heralded a period of re-assessment. It was time to make some final career decisions. Did I wish to continue to grow or should I accept a levelling off and leave the stage to younger people? And other life issues were becoming prominent ... aging parents, the “empty nest” syndrome and a growing awareness of health issues around me. One day, when I was about 55, my boss asked me, almost casually “Are you going at 60? Definitely, I replied without hesitation, and we both laughed. From that day on I was clear on when to retire and never wavered from that decision. I sought Retirement Coaching and began some detailed planning and preparation for retirement. 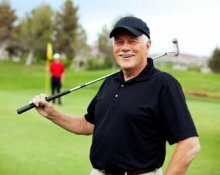 Retirement planning involves the careful consideration of many aspects of your life. It's important to look at all of these - and not just the financial aspects - to get your Retirement As You Want It. Stay in touch and subscribe to my monthly email newsletter, 'Retirement Stories'. It has stories and tips on planning for and enjoying an active retirement.